 Hong Kong share market closed higher on Monday, 08 April 2019, as investors risk sentiments bolstered by better-than-expected jobs data in the U.S. and reports of progress in trade negotiations between Washington and Beijing. At closing bell, the Hang Seng Index added 140.83 points or 0.47% to 30,077.15. The Hang Seng China Enterprises Index rose 101.28 points or 0.87% to 11,793.65. Turnover increased to HK$121.5 billion from HK$109 billion on Thursday. The local market closed on Friday for a public holiday. Hong Kong equity market opened higher, encouraged by gains on Wall Street last Friday after positive March US jobs data. The Labor Department reported that the US added 196,000 net new positions last month, well above expectations, while the jobless rate held steady at 3.8%. Market gains were also supported on trade optimism. 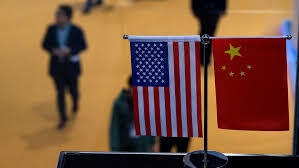 U.S. and Chinese negotiators wrapped up their latest round of trade talks on Friday and were scheduled to resume discussions next week to try to secure a pact that would end a tariff war that has roiled global markets. As per reports, U.S. and Chinese officials were said to have discussed draft agreement text on contentious issues such as technology transfer, protection of intellectual property rights, and the bilateral trade balance, among others. Shares of China telecom carriers fell. China Unicom (00762) fell 2.9% to HK$10. China Mobile (00941) dipped 1.4% to HK$78.35. China Telecom (00728) slipped 1.2% to HK$4.24. Shares of handset components suppliers saw strong buying orders. Sunny Optical Technology (02382) jumped 4.3% to HK$104. AAC Technologies (02018) was up 0.2% to HK$50.5. Q Technology (01478) soared 10% to HK$9.09. BYD Electronic (00285) gained 3.3% to HK$10.58.